Coach Poirier is in her first year as the head coach of the Lady Hornets. 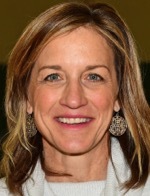 Coach Poirier is a 1985 graduate of Galeton High School where she played basketball for three years and was an All-Twin Tiers selection and two-time NTL West Player of the Year. Coach Poirier attended Shippensburg University after High School on a basketball scholarship. She played for three years while earning a B.S. degree in Elementary Education. After graduation, Coach Poirier went on to Penn State University to earn a M.S. degree in Health Promotion and Education. the past 10 years, Coach Poirier has coached boys and girls 5th and 6th grade and Biddy basketball for the Wellsboro Area Youth programs. Lady Hornets fall to Montoursville.